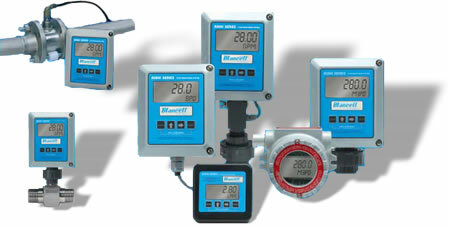 B1500 Turbine Flow Meter :: Sizes 3/8" to 2"
Badger Meter introduces the new Blancett B1500 Turbine Flow Meter designed to perform in harsh environments found in the oil and gas, and petrochemical industries. 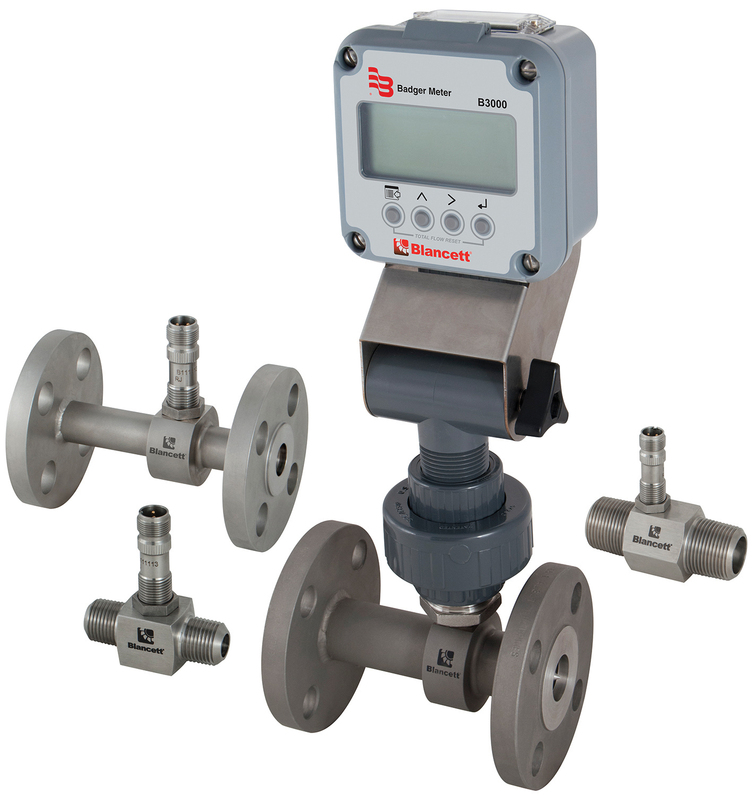 A cost-effective option for highly accurate and reliable flow measurement, B1500 flow meters are an ideal solution for standard clean, filtered liquid flow applications in precision industrial processes, such as batching, blending, filling, or general flow measurement. Increased usable flow range with less sensitivity to fluid temperature/viscosity effects. Exceptional speed-of-response, with reduced pressure drop. Ceramic bearings provide near-perfect roundness, higher Rockwell hardness and are lighter and more tolerant to temperature than 440C stainless steel bearings. They eliminate adhesive wear and perform well in non-lubricating liquids found in cryogenic fluids and water. Third party audits to ensure calibration uncertainty. Laboratory correlation to verify that all calibrators produce the same result.